Local moving company, Harrington Moving & Storage, recently launched a new method of packing that is environmentally friendly. At the start of the new year, Harrington Moving & Storage began testing a new method of packing for families and businesses, they began using what they call the Green Packer. 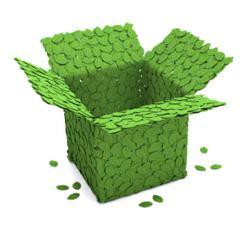 The Green Packer by Larue is a crate that eliminates the need for cardboard boxes, in addition it eliminates the need for tape, protective paper and other items commonly used with packing. “The colossal crate is environmentally friendly and refrains from wasting resources, as is common with traditional packing and unpacking,” said Harrington Moving & Storage founder, Jeff Harrington. Recently, in honor of St. Patrick’s Day, Harrington Moving completed their testing and will begin using the Green Packer in most of their relocation jobs. The crates can fit two flat-screen televisions, 16-large picture frames and still hold space to pack more, explained Harrington. Harrington Movers was founded in 1996, since then it continues to act as a leading force in the community. The moving and storage company stresses the importance of giving back and we have received raving reviews for our altruistic tendencies. Harrington Moving is the recipient of the New Jersey Moving Member of the Year Award for 2006 and is the recipient of the New Jersey Driver of the Year Award for 2010. It is the only moving company in its region to initiate monthly charitable services. Its benevolent services have impacted various organizations, schools, and community members tremendously.